There are many things that can affect your teeth both positively and negatively. Food has a bigger effect on our teeth than many people may think. Of course we all know the food that are bad for our teeth—sugary, gummy, and sticky foods included. But we rarely hear about the foods that can actually be beneficial to our teeth. In the last blog, we talked about some of the candies that can be horrible for your teeth and hopefully your children forgive you for throwing away half of their Halloween candy. While you may be avoiding the gummy candies now, there are food you don’t have to avoid for a healthy smile. In fact, these foods can actually help improve the health of your teeth. At Brookside Dental Care, we care about your smile and want to help you keep those pearly whites healthy! We offer many different dental procedures, including everything from common procedures to emergency dental care. Our services can help to improve your smile, keeping your teeth and gums healthy. But there are things you can do at home to take care of your teeth, besides just brushing and flossing regularly. Eating the right foods is one of those things. 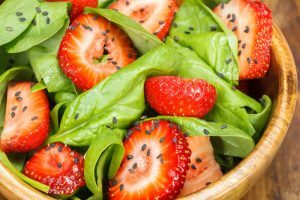 In this blog, we are going to talk about some of the foods that can help your teeth. Keep reading to learn more and start stocking up on these foods that can help your chompers! 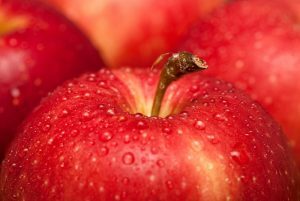 While apples are a sweet treat, they are not a sugary food that you should avoid. Apples provide your teeth with a ton of different nutrients and other benefits. They contain high levels of fiber and water, which help keep gums and teeth healthy, just make sure you leave the skin on the apple! The texture of an apple can help keep your teeth clean by removing plaque and other food debris from your teeth. An article from Colgate mentions that eating an apple helps to produce saliva in your mouth, which can also help to wash away food particles. An apples acidity can also help as well. The acid can kill bacteria in the mouth that creates bad breath, leaving your breath smelling fresh! Carrots offer similar benefits as apples. They are full of fiber and help keep your teeth and gums in tip-top shape. They can also help to stimulate saliva productions, rinsing food particles and other debris away from your teeth, which can help reduce your chances of getting cavities. Carrots also contain vitamin A and multiple B vitamins. In an article from Kanawha City Pediatric Dentistry, they mention that the B vitamins found in carrots can help to fight against gingivitis. The Colgate article also mentions that benefits of almonds. Since they are a great source of calcium and protein they can help strengthen your teeth. Of course leafy greens would be on the list for foods for healthy teeth, they are very beneficial for many reasons, one being that they contain a ton of vitamins and minerals. But today, we are looking at the teeth. Kale and spinach are extremely beneficial for oral health. The calcium found in these foods can help to build up your tooth enamel, leaving your teeth stronger and healthier. The folic acid found in leafy greens is also beneficial, helping to treat gum disease in certain people. Yogurt is also mentioned in the Colgate article, but for more than just the calcium and protein. These things can help to make your teeth stronger, but yogurt offers more benefits. Probiotics are found in yogurt, and can help your gums. The good bacteria found in probiotics helps to keep out the bad bacteria that often causes cavities. Yes, cheese can also help the health of your teeth. The Colgate article mentions a study that found the cheese can raise the pH balance of your mouth, which helps to lower the chances of tooth decay. 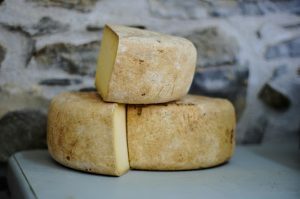 The Kanawha City article also mentioned cheese among their list of foods that benefit teeth. These benefits also included that cheese contains a protein called casein, which can strengthen enamel and prevent cavities. So next time you think you are eating too much cheese, think about your teeth! These are a few of the foods that can help the health of your teeth. Add these to your diet to keep your teeth healthy and strong, and be sure to schedule an appointment with Brookside Dental Care. We can help keep you teeth sparkling and healthy.